DWC’s education and job training services are designed to meet every woman’s current needs, regardless of her background and level of experience. For women who are formerly or currently homeless, barriers to employment can range from physical disabilities and mental health obstacles, to a lack of formal work experience or long bouts of unemployment after job loss, to the stigmatization individuals experiencing homelessness face on a daily basis. 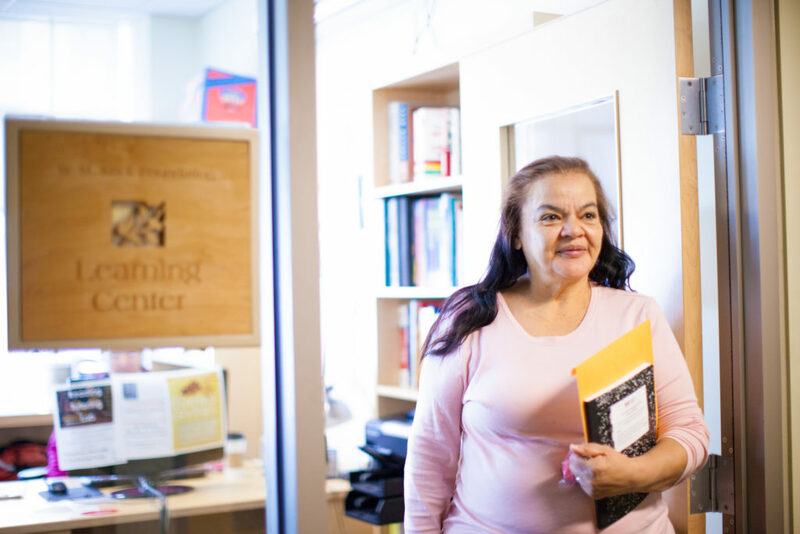 Our Learning Center provides classes in computer skills, literacy and math, academic and vocational counseling sessions, job readiness preparation, and employment placement services. We offer courses in resume building, financial literacy, computer use, and more. During open lab hours, DWC participants can use computers to search and apply for jobs, write cover letters and resumes, or work on school assignments. Through our job-readiness program, women learn skills that not only lead to income, but also to an increase in self-worth and overall well-being. 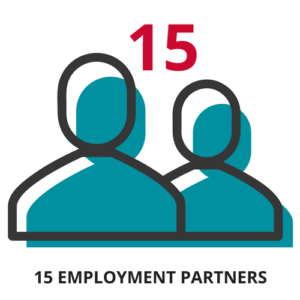 Through support from the LA:RISE program, a partnership between the City and County of Los Angeles’ Workforce Development System, non-profit social enterprises, and for-profit employers, we provide paid transitional employment through our social enterprise venture, MADE by DWC. MADE by DWC is a social enterprise created to generate economic and social capital for women in the Skid Row community. Our signature line of gifts is made by formerly homeless women, and 100% of the proceeds support DWC’s programs and services. In addition to the products being sold online, MADE by DWC has two brick-and-mortar stores in downtown Los Angeles: the MADE by DWC Café (438 S. San Pedro Street, 90013), and MADE by DWC Resale Boutique (325 S. Los Angeles Street, 90013). Our retail locations provide intensive job-training and transitional employment opportunities within product and retail environments. Items from our product line are also sold through retailers including Raven & Lily, The Little Market, and LA Original.